Going to recover my NV400 tomorrow with new Tolex. I have the old tolex removed and the cabinet all cleaned up. Have the new material and glue,and have been watching a number of YouTube videos on the process. It looks pretty straight forward, but does anyone that has tackled this type of project have any helpful hints ? 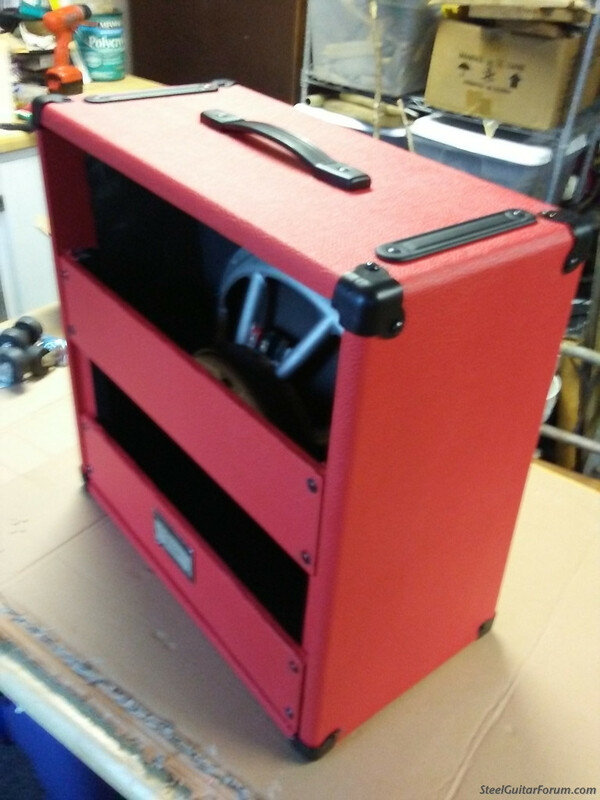 Measure the cab with a cloth tape, lay the tolex on a flat surface with cardboard under it. After measuring/marking the back, cut the tolex with a knife using a metal edge for a guide. Don't use scissors! Lay the cabinet on the material, and mark where it will be installed on the tolex. Apply plenty of glue to both sides, (If any squeeze out, it can be cleaned later). After glue is tacky, put cab on your marks, and roll tolex from center to the edge. Trim excess tolex front and rear. Thanks for your input Bill ! I'll post some pics if it turns out ! When I did my 400 the old Tolex came off in virtually one piece, so I just used that as a template.Use a good quality glue and plenty of it. I've built a lot of cases/speaker cabs, etc. I've found the best adhesive for Tolex is the Tolex glue that is sold by Antique Radio and Mojotone. Its "pricier" than the others but considering how well it works, its worth it. I just ordered some from Antique Radio for a new speaker cabinet I'm building. I tried the DAP glue and it was a disaster. I've also tried spray glue and didn't care for it either. Thank you Malcolm ! The tolex came off of mine in one piece also,so I may use it for a template as you suggested. Thank you Jack ! The link you directed me to is very helpful ! Hopefully it's a successful operation ! Lol ! Rick Johnson has a very detailed video on how to apply tolex to a cabinet. I have 3 of his cabinets and his work is top notch. I bought his video when I decided to recover my Fender Super Reverb. The many tips and tricks he includes more than makes it worth the price. It is available for purchase on his website. Maybe others here can comment on the quality of this video. Many can comment on the quality of his work. Thanks for your input Jim ! I finished the tolex project yesterday and will post a few pics tomorrow when I get the hardware back on. I don't know what Fender is using to glue Tolex these days but it's no good. 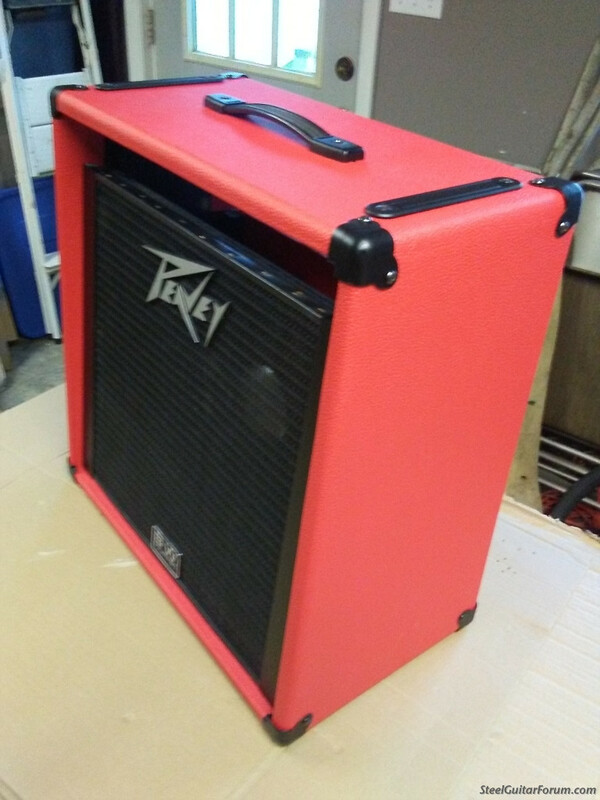 I've got a Hot Rod Deville and the Tolex seams on the top panel are not sealed at all. It was like that brand new and I've seen others with the same issue. You'd think they'd have that worked out by this time, they've been around for awhile. Bill, I have fixed a few cabs that have that problem. I run "painter's" tape parallel to the seam to catch any excess. Lift the seam, and with a small brush reapply adhesive, (I keep them apart with toothpicks), and when tacky, press back together. After a day, lift the tape. Here it is..think it turned out pretty good ! Thank you ! I'm happy with it ! Thanks Bill, I may try that. My amp looks brand new except for that fault. It would be nice to see a good tight seam.